Written By: Richard Overy, Ph.D.
On August 24, 1939, the world held its collective breath as Hitler and Stalin signed the now infamous nonaggression pact, signaling an imminent invasion of Poland and daring Western Europe to respond. 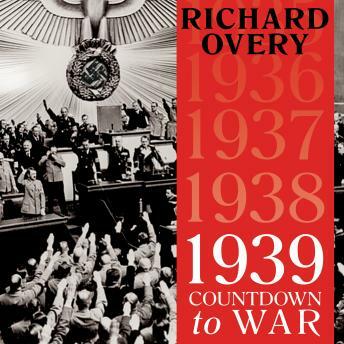 In this dramatic account of the final days before the outbreak of World War II, award-winning historian Richard Overy vividly chronicles the unraveling of peace, hour by grim hour, as politicians and ordinary citizens brace themselves for a war that could spell the end of European civilization. Nothing was entirely predictable or inevitable. The West hoped that Hitler would see sense if they stood firm. Hitler was convinced the West would back down. Moments of uncertainty alternated with those of confrontation; secret intelligence was used by both sides to support their hopes. The one constant feature was the determination of Poland, a country created only in 1919, to protect its newfound independence against a vastly superior enemy. 1939 documents a defining moment in the violent history of the twentieth century.